Over the last decade, Australian universities have become leading research centres for Manuka honey. Humans have used honey for its healing properties for thousands of years, and now with on-going research scientists are able to explain the reasons behind its medicinal power. Numerous scientific studies show that Manuka honey kills superbugs and stimulates wound healing. Early scientific research into Manuka honey stimulated significant interest and further research, enhancing our understanding of the health benefits of Manuka honey. The original research on Manuka honey was carried out by Dr Peter Molan at the Honey Research Institute at the University of Waikato in New Zealand. The late Dr Molan's findings gave rise to a significant interest in the potential for Manuka honey to be used in wound dressings and care of complex ailments, including diabetic leg ulcers, and as a replacement for pressure dressings. Healing time was decreased, patient comfort increased and scar formation was minimised. Various species of the Manuka plant produce different levels of DHA in their nectar. When bees collect this nectar and make it into honey, the DHA naturally converts itself to MGO. The research that revealed the therapeutic benefits of Manuka honey led to the use of Manuka honey for wound care dressings, in particular by the US Army, and led to a surge in its popularity and demand. This increased demand resulted in further funds being made available for research, research which is ongoing today. Manuka honey has significant value in a clinical setting where it can be used to beat superbugs and promote healing. Researchers in Germany, at the University of Dresden, were able to identify the active antibacterial component of the honey as methylglyoxal (MGO). This led MGO to replace NPA as the critical indicator of the strength of a Manuka honey. MGO is very accurate and is directly measurable by HPLC, unlike NPA and the old agar plate assay method which is over one hundred years old and prone to error. Leptospermum flowers and the bioactive fraction of MGO contained in the nectar of Manuka flowers are the key driving force behind the antibacterial effect of Manuka honey. Research in Japan identified the unique chemical identifiers present in Leptospermum honey that are not found in regular honey, which makes it very easy to differentiate between a fake product and pure, natural Manuka honey. The AMHA have tested Australian Manuka honey for these unique Manuka markers and found them in abundance.This means that the Manuka honey you buy from Australia can be guaranteed as a pure, natural and authentic product. 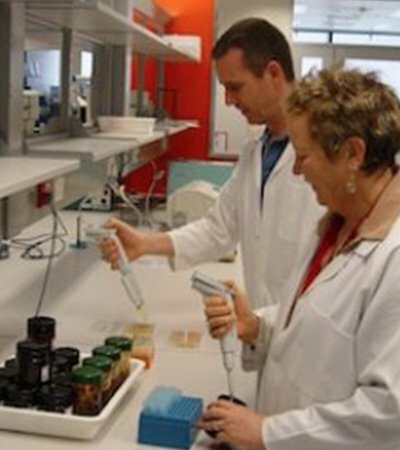 The Australian Manuka Honey Association believes in using only reliable, scientific methods to test Manuka honey.